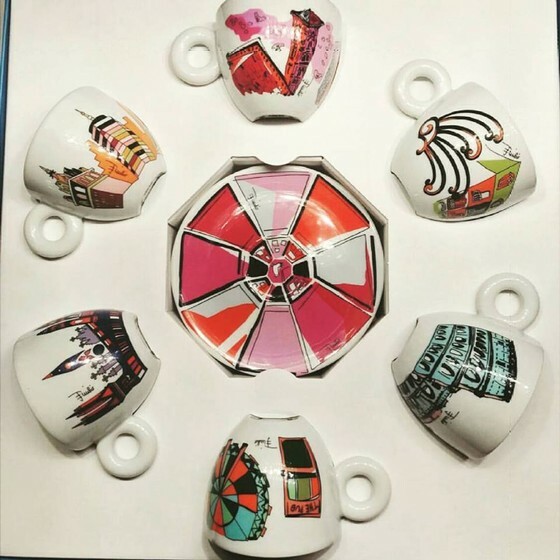 Our illy artistic cup collection (Emilio Puccini the fashion designer from Florence) came in today. They are displayed in The Cellar. They are amazing! This week we'll be getting in these beautiful Emilio Pucci Cup Collection! We are so excited these are coming in, we love them! The Italian Bombolini is here!